﻿ Monumental Movieland Hotel, Orlando (FL) | FROM $46 - SAVE ON AGODA! 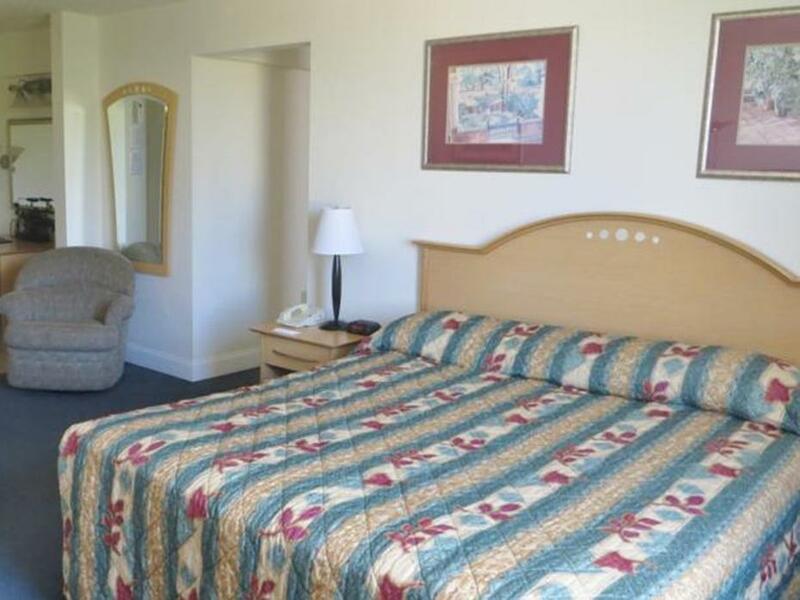 "Excellent value, rooms clean, staf friendly and safe locatio..."
Have a question for Monumental Movieland Hotel? "Location is excellent, practically next to Universal Studios." "There was a pool and the staff was helpful and nice/friendly." 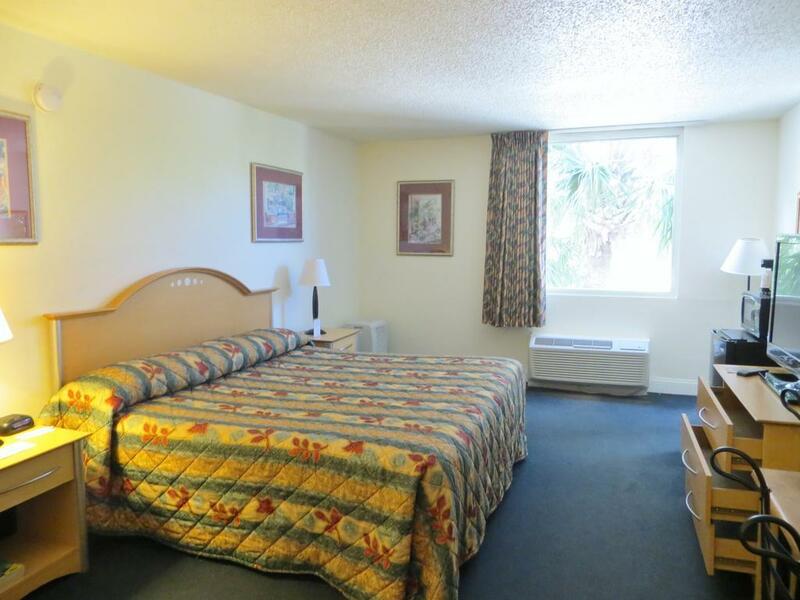 "The place was great super cheap and super close to Universal..."
Nestled in the heart of International Drive North - Universal, Monumental Movieland Hotel is an ideal spot from which to discover Orlando (FL). From here, guests can enjoy easy access to all that the lively city has to offer. With its convenient location, the hotel offers easy access to the city's must-see destinations. 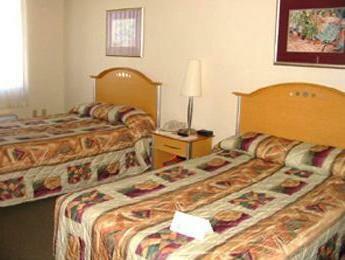 Monumental Movieland Hotel also offers many facilities to enrich your stay in Orlando (FL). 24-hour front desk, facilities for disabled guests, luggage storage, Wi-Fi in public areas, car park are just a few of the facilities that set Monumental Movieland Hotel apart from other hotels in the city. The ambiance of Monumental Movieland Hotel is reflected in every guestroom. internet access – wireless (complimentary), air conditioning, alarm clock, telephone, television are just some of the facilities that can be found throughout the property. The hotel offers wonderful recreational facilities such as fitness center, outdoor pool, games room to make your stay truly unforgettable. 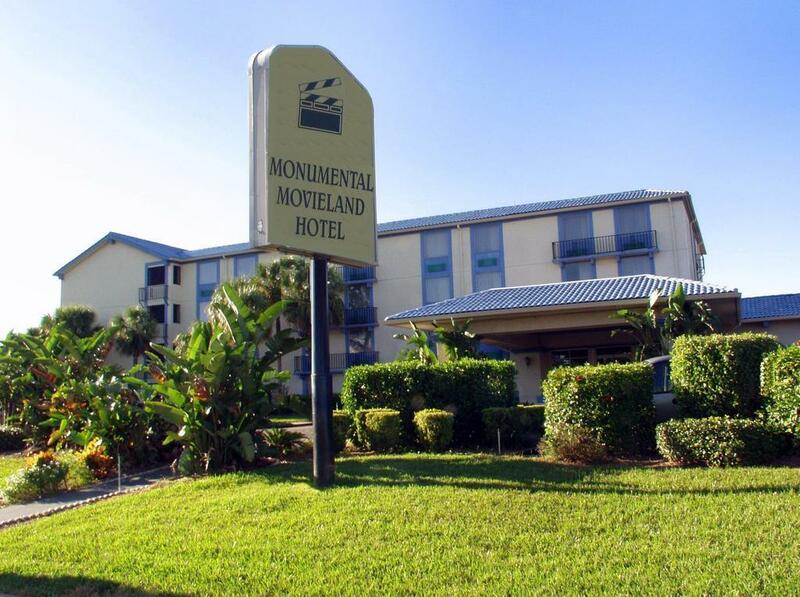 Superb facilities and an excellent location make the Monumental Movieland Hotel the perfect base from which to enjoy your stay in Orlando (FL). "It was located close to the parks and was close in proximity..."
Surprise to me, they remove the carpets and give to me a remodel room, cool tile warm wall color, flat tv, micro & Fridge (Actually I'm looking hotels with fridge) beds are ok perfect A/C quiet + dehumidifier Steps by steps they need to change a few things in the hotel but it's super cool for me. They really surprise me. This hotel has lots of great facilities including a big pool and a gym. The room is nice but a little dated and it could have been cleaner. The floor at the entry had a big sticky patch and there were clothes in the closet. You need a room key to enter the building so it was more secure than a lot of hotels you can access from the outside. We were down the hall near the lobby which made it noisy as the hallway amplified all the noise. There were a few minor maintenance things in the bathroom, the toilet flusher kept getting stuck down and the tap on the sink was loose. The location is good and we enjoyed our stay. I have stayed here a few times before. Literally minutes from Universal (just cross bridge going over I4 and turn right into the parking area). It isn't fancy. There is a $100 deposit they take at the start of stay and return back at the end. Rooms is decent size. They all have fridge, microwave, and coffee pot. There is a restaurant attached to the hotel. Only have had the $7.99 breakfast buffet-nothing to write home about. MANY tourist shops and restaurants down the road that can be walked to. This is one of my go to hotels for a cheap couple day getaway to FL. LOC: In Qt. Str. _600M Walk to Marata Civic Centr. St. (MTR to Airp. 5$ +Mega Bus +Local Bus) _All limited attr. Walk fr. 5-30min. _Big SuperM. (Publix) behind =8.5/10 RM: King Rm. _Full +Large w.\ every incl. complete kitchen unit (without accessory!) _G. (TV +AC) &Radio &Iron. Priv. BATH: Full w.\ shampoo. HT. : Big +Clean +G. left _But no common areas &Reception in isolated Rm. Without seating _Don’t use secured closed big park or wi-fi _Expensive but Value w.r.t. ATL Ht. prices. STAF: Av. =8/10 _Help +Info (but not very maybe due locals guests) _24hr. +Work for a long time _No city map @ (i) in D.T. _When ask about accessory for kitch. answer (Buy) _Many Signatures for rules _Check Rms. & Corridors in night. Very nice staff, hotel was very clean. the room was bigger then I thought it would be. Staff and House Keeping, the best I ever had. Everyone was happy to help in any way possible. I would stay here again when I return in the summer and back for Christmas this year. All their ads (AND THE PAPER YOU SIGN AS A RESORT FEE) all claim to have shuttle rides to the park but that's a lie. They used to have it but that hasn't been the case for a while and they need to take that off the sites. Other points: - Bed Bugs - Moldy Smell everywhere - Filthy - Toilet never stops flushing had to close the bathroom - Laundry MAchine stole my money and they kept differing me to different people in different shifts to give back two dollars. TWO DOLLARS! - Staff is friendly but the managers were rude. - Since their laundry dryer didn't work I tried using the hair dryer in the room and IT WAS BROKEN. Roach motel. Don't come here. If you can stand the 4pm check in time, this hotel is for you! No frills, great location, nothing fancy but huge pool, VERY safe area, VERY good for families looking to save money and spend all day at the parks. Beds are comfortable enough for 45$ a night. We paid 200 euros for 5 days, which was a great bargain. The place was old sure, but clean (enough). The hall looked quite new actually. Staff was helpful. Only the 'towel system' is annoying indeed. They take away the towels and you don't get fresh ones until 5-6 pm. Once we came back from the waterpark around 5 and couldn't shower because of this. After asking towels where brought after about half an hour. It is an easy 20 minute walk to Universal (Citywalk) and there is a proper sidewalk to walk on. Ideal for saving money on parking. My husband and I loved the location of this hotel, only 15-20 minute walk to the two Universal Parks where you will also find the bus stops including the free bus to Volcano Bay. There is a bus stop right outside for the i-drive hopper also very close are the lynx bus stops which we used for getting to the airport. The hotel itself was excellent for the price and star rating. I would definitely stay again. The front of house staff were friendly and helpful. It was clean and tidy. The room attendants did a great job (but I would have preferred they left the clean towels earlier in the day) The swimming pool was much needed after a long hot day sightseeing or theme parking! I had it to myself most of our stay. Overall the hotel was great but I would have liked the window to open even just a tiny bit - I understand why they don't open but it would have been nice for a bit of fresh air to come in. The Location of this hotel is amazing is 15 min walking from the universal parks. The rooms have a fridge, coffee maker and microwave that comes it handing if you buy your own food and want to keep it for later. The pool looked great even when we didn't have time to use it. I was however disappointed with the cleanliness. Room was very musty & not vacuumed or mopped for the entire 5 night duration I was there. Same sheets left on the bed for my entire trip as well. I have never been so disappointed in a hotel in the 40+ years I've stayed in hotels. It started with check in when the keys wouldnt work and they had US running back and forth 3 times to the back end of the hotel trying to get into our room. It continued to get worse when we discovered the mattress was on a piece of plywood and then wet stains on the sheets and having to change rooms at midnight and running 3 times again back and forth to try new keys before finally getting the 3rd room to work. Meanwhile no help from the hotel. The next morning the shower didnt work so maintenance had to replace the shower head before we could shower. The fridge had water laying in it and had been unplugged. The room smelled badly. The cleaners only put towels in the room and left the beds unmade. Nothing but trouble from this place. This is only the shortened version. Please do yourself a favor and find a better place. Saving money isnt worth it on this one!! Old, dirty, bad smelling, bed and pillows not in good condition, some of the staff people very careless of the guest's needs, specially in regards to the wifi. They think that just because they're close to Universal they don't have to restyle anything or get rid of the terrible moistness problem they have in the whole hotel. I don't recommend it. Look for a better hotel which is also close to the parks for your family/friends/yourself. What was good was the price for 4 nights. I’d stay there again simply for that. It was located close to the parks and was close in proximity to other fun activities. There was a pool and the staff was helpful and nice/friendly. There was someone at the front who I guess forgot we needed assistance and wasn’t too helpful in the beginning. The A/C and refrigerator worked very well. The carpet was old and had a few stains, but it seems they are renovating and changing the carpet to wood floors. Our toilet kept overflowing and a plunger wasn’t left in the room. The paint on the ceiling and around the shower head was peeling. The microwave wasn’t cleaned inside an my wife said a roach came out of it. The keys to the room and outer doors took 5+ tries before they worked everytime. The pillows were hard. There are cockroaches in the rooms and in the bathrooms. They switch me to another room that had even more cockroaches everywhere . I ended up sleeping in my van and checking into another hotel early in the morning .It was the worst hotel. I had a terrible vacation due to this hotel. It is not worth the savings. I stayed at the Monumental Movieland hotel for 4 nights and I must say that it exceeded my expectations. The staff were helpful, room and facilities adequate and clean, and most importantly GREAT LOCATION on International drive. The only cons were the wifi wasn't reliable and the room had a musty odor. But for what we paid and the service we got, I would recommend this hotel. perfect location for one night on International Drive before travelling further afield. Had microwave and fridge in room which is perfect if you are staying for a longer time and don't want to eat out constantly. Would definitely stay at this hotel again. rooms were nice a spacious and free car parking. Location was great and staff was very friendly, but check in only after 4pm? This is ridiculous! All the hotels I been before, the check in time is at 12pm, basically this hotel is stealing 4 hours from customer because you have to check out at 11am. Room was disgusting, room smelled like mold, the carpets were filthy, bed sheets didnt fit the bed, the bed was a joke, it was a piece of plywood and 4x4 wood pieces for the legs! no joke I took pictures of all! This place needs major improvements and change their ridiculous checking in time . Had to move rooms as I found a newt in my bed and then had an ant infestation so the room has to be fumigated. The hotel is outdated but the maids do a good job cleaning and making the beds daily. The pool is a salt water recycled swimming pool so it's advised if you are un well not to swim in it. The pool sunloungers are plastic and not comfortable and the pool towels are brought out sparingly. overall wouldn't stay here again. I was supposed to be getting a refund but I've recieved nothing as of yet.